Code Red (WI6,300m), Setesdalen, © Pawel Karczmarczyk and Per Lindberg. 9.6.2018. New updated version of Collection of topos of rock climbing in peaks around Bodø. Strandåtind, Sjunkhatten, Store Åselitind, Trolltind, Mjelletind, Preikstoltind, Skottindtraverse etc. Not a proper guide, but lots of info. 28.5.2016: Klatrefører for Sila og Rana. Verdensklassebuldring i Sila! 24.6.2015. Sportsklatring i Bodø-området. 84 sider! 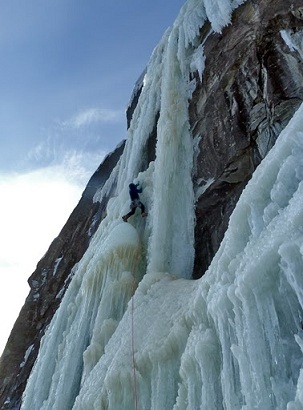 Isklatring.no offers a mix of self-produced stuff and links to external guides to iceclimbing in Norway. Mainly ice, but also some rock. The albums contain pictures from winter climbing in Valdres and some other places. You can help us keep this site updated by sending us pictures, info on ice-conditions, new routes and other stuff! 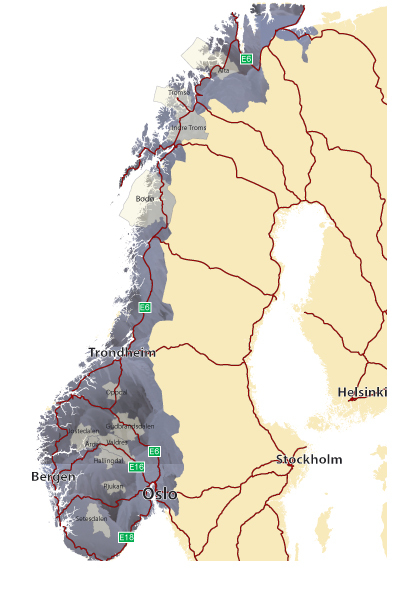 The alpine club of Norway, Norsk Tindeklub (NTK) has established an online route report database. Isklatring.no recommend that you report new routes to this system: http://www.ntk.no/rute/. Don't forget to add pictures! Who's the guys behind this awesome site?